You do want this quit to be “the quit”, don’t you? Then, you cannot just jump off the cliff yet. To quit smoking permanently requires patience and a lot of time. Even if you doubt whether you can actually achieve this, you have to hold your breath and work your way through. Do not expect to stop smoking within a few weeks! When you are letting go a long-born habit, it is wise to expect that breaking such an old bond and replacing it with new, healthy associations will take its own time. The more you put time between you and the last puff you inhaled, the STRONGER your mind becomes. Make 2 columns on a piece of paper stating the things you like and dislike. Things most people dislike can include health issues, family complaints, work problems and others. If possible, talk to your friends and family to weigh both positive and negative sides. With time, you can also make changes. Once the negative column overweighs the positives, you yourself can give up smoking easily. The hit of nicotine relieves your stress, or so you think. But truth be told, when you are on the agenda to “quit smoking”, you have to find replacements to relieve your stress. Herbal tea, as suggested by medical experts, can calm you down quite a lot. As you brew your tea and pour it down in a cup, this entire process works wonder at soothing your stressed mind! Herbal tea provides the same amount of stress relief you think nicotine can. Cinnamon sticks can also add a bit of extra flavour to your regular herbal cuppa! It soothes your senses and gives your mind a refreshing zeal. Of course, the medication part will come! However, they are not as fearful as they sound. In fact, medical research shows that medicines can indeed help smokers to stop smoking successfully. • Nicotine Gum – Therapeutic Nicorette helps to reduce nicotine absorbed by your body. • Nicotine Patches – Reduces cigarette cravings, stressed and depressed mood, irritability and frustration owing to lack of smoking. • Nicotine inhalers – Mimics hand-to-mouth smoking action leading to reduced symptoms of nicotine withdrawal cravings. All these have been suggested by the US Food and Drug Administration recently. After consulting with your doctor, you can choose any one of these medications. A smoke addict always makes up excuses to defend himself. Psychologists say that the subconscious mind keeps on trying to stop smokers from withdrawing. It feeds on his or her frustration and cig cravings. That is why, the innumerable excuses come up. If you constantly defend, then you will always find an excuse to smoke again! Make sure that your motivation remains strong no matter what your heart desires for. Whenever the cravings strike, your mind needs to be busy as soon as possible. Change your daily routine and fill it up with health activities along with your existing work schedule. 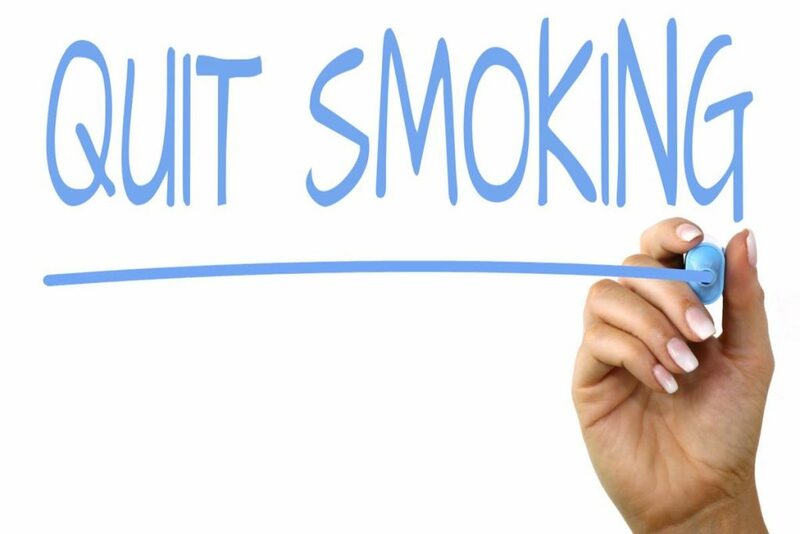 Regular exercises, morning walks, jogging or hitting the gym can also aid to give up smoking. Drinking water, say half a glass, each time you have the craving to smoke saves a lot of hassle. Practice drinking water before you want to light up a cigarette. The desire to smoke is connected with the toxins that get deposited in your body’s connective tissues to enter your bloodstream eventually thickening it. This leads to irritation, anxiety, stress and panic attacks. So, opt for drinking water which makes your blood thinner and helps to remove toxins easily. The urge for a puff also dies slowly, and you get to quit smoking. ©2015-2019 Annalee Wellbeing. All Rights Reserved.